The middle of February and no snow - well I suppose we've had enough in December but I for one am looking for some more just to try out my new snow chains. I have been out scouting out a new location for a guide and we'll have some good content in the next two issues. Hopefully the next one will be Castle Crag where we're meeting up with quite a few photographers and the one after that will be Goredale Scar, a location I've been checking out in the last week. We've also invested in an outdoor audio system so we can do some recording in the field - look for some content using this in March. People have been subscribing at a reasonable rate too so thank you very to all of you! Rob Hudson has also been interviewing photographer Chris Tancock and this looks like it could be a great feature. 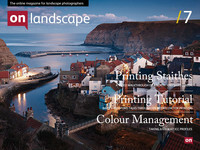 Dav Thomas has also been over and he will be talking about a few of his photographs in one of the March issues. 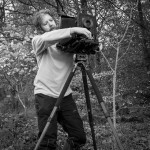 We're also meeting up with David Ward next week and I'm really looking forward to talking to him about his recent work.